Now in our twelfth year operating events, PrimeTime Lacrosse recognizes that an event is only as memorable as its venue. 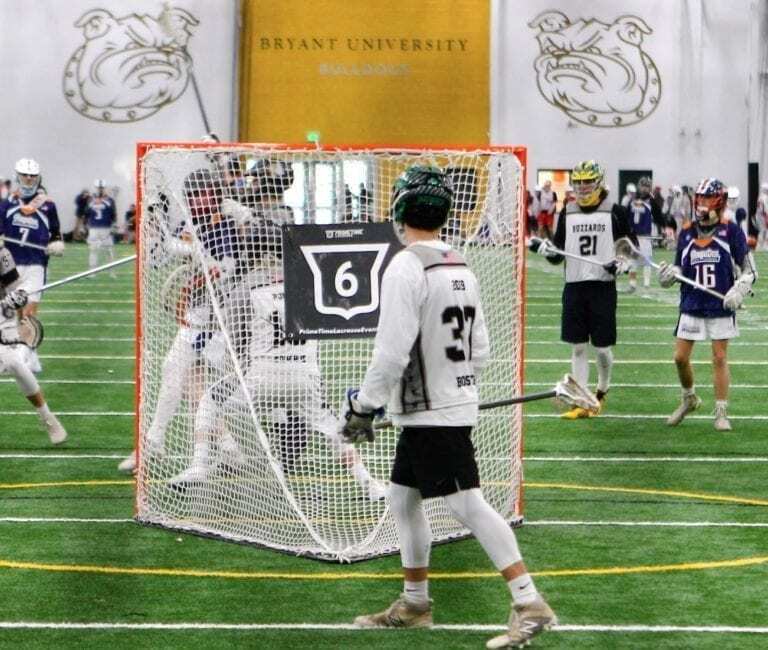 Bryant University serves as home for several of our lacrosse events, including the Bulldog Brawl and Fall Brawl tournament, and for very good reason! The best facilities for a lacrosse tournament! Bryant University is a world class event venue and its location is conveniently central to many of North America’s top club lacrosse programs. Just fifteen miles away from TF Green Airport in Providence, Rhode Island, and an hour from Logan Airport in Boston, Bryant is accessible to everyone coming from just about anywhere! Bryant is also a location that holds a ton of sentimental value to us a company because its where the first-ever Penguins teams we operate participated in 2009.So, when the opportunity to partner with Mike Pressler and Steve O’Donnell of the RI Bulldogs for came up, we knew we had to jump all over it. Most importantly, Coach Pressler, Coach O’Donnell and the entire RI Bulldogs operation are people who share our values when it comes to running an event and a lacrosse program – and putting families first in every aspect of the process. With some of the top facilities at the NCAA Division I level and teams traveling from across the country to be a part of the event, club players get the opportunity to truly compete like college athletes regardless of their age or program. There aren’t too many places where players can play in a full-size indoor field, immaculately manicured grass fields that are home to Bryant’s Division I soccer programs and a massive football stadium that is home to the Bulldog’s DI football program all in the same weekend! At all of our events we strive to give families a first class experience, so it’s not just the players on field that get to take advantage of these facilities. Pristine indoor restrooms, incredible food options, tons of parking, and the best maintained facilities in the country make for an incredible location to host an event, and an especially great spot for families to tailgate and enjoy the weekend. It is also very rare to have 9 fields so close together at one venue, allowing for an event that college recruiters look forward to as well to minimize the time they are spending traveling between fields. What also makes Bryant special is the people. The Bryant University facilities, food and athletics staff are among the most friendly, professional people that we have the opportunity to work with anywhere. It certainly helps make for a positive event experience for families off of the field. To learn more about PrimeTime Lacrosse, visit PrimeTimeLacrosse.com.